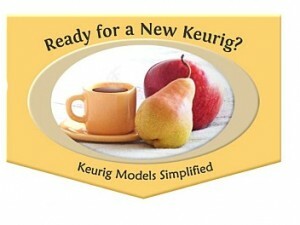 Many single cup coffee makers can brew coffee as good or better than gourmet coffee shop coffee, and very conveniently. But, before you run out and buy one, it’s important to give some thought to which machine is the right choice for you. Otherwise, you may be unhappy with your purchase. There are a number of things to consider when shopping for a personal brewer. The questions in this article are designed to save you time and ease you through the selection process. You may want to make some notes about your preferences so you have a clear set of options to look for when reading through our single cup coffee maker reviews. Lets start with how you like your coffee. Are you happy to drink anything, as long as it’s coffee? Or, do you have very particular taste buds? If most coffee brews work for you, then you can probably skip over brewing methods and focus on cost and convenience. However, if you’re particular about your coffee, the brewing method employed by each single cup coffee maker impacts the taste of the coffee, as well as convenience and clean-up. 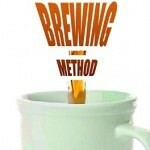 Learn more about brewing methods here. If you like gourmet coffee or want to experiment with difference types and flavors of coffees and other hot beverages, consider a single serve brewer that uses pre-packaged individual coffee packs, like K-Cups, capsules or pods. Before buying a machine, take a look at the coffee and other beverage packs available for it. Some offer a vast array of coffees to choose from, making it more likely you’ll find one that suits your tastes, while others have just a few available. If you prefer extra bold coffee, consider French presses and cone pour-over systems, although some personal coffee makers that use pre-packaged coffee packs have bold flavors to choose from. A drip-style single serve brewer might be your best choice if you have a particular drip coffee blend that you want to enjoy the taste of, or prefer stronger coffee and appreciate being able to add more grounds per cup. Most machines brew standard coffee. Some also produce flavored and other gourmet coffees from pre-packaged coffee packs. Specialty machines are designed to do a good job of brewing true espresso or latte and cappuccino. Be sure to choose a machine built to brew the type of coffee you prefer. If possible, try out single serving brewers owned by family and friends before you buy, to determine if the machine you’re considering brews coffee to your tastes. Do you drink one cup of coffee in the morning, or do you drink coffee all day? Be aware that some single serve coffee machines require adding water for every cup you brew, lengthening the brew time for subsequent cups. Others have water reservoirs that keep water hot and ready for quickly making additional cups. The latter may be the best choice for those who drink coffee often throughout the day, as well as for households with several coffee drinkers. This factor may be the one that generates the most complaints from new personal brewer owners, so choose carefully. How many ounces of coffee do you consider to be a full cup? Opinions vary about what constitutes a cup of coffee so choose a machine that will accommodate your preferences. Some single serve coffee makers produce a set number of ounces per brewing (say, 8 ounces) while others allow you to adjust the cup size up or down. 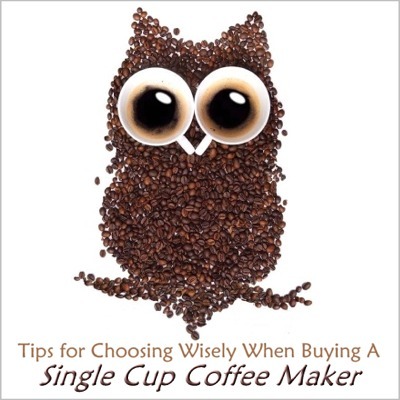 Look carefully before buying to ensure that the machine makes enough coffee per brewing. Or, if other features line up, you might consider brewing a second cup to combine with the first one if you prefer more than the standard cup size. Keep in mind that brew strengths can be adjusted by using more or less water per cup. Being able to adjust cup sizes is a plus if you prefer a different strength of coffee than others in your household who are using the machine. Also pay attention the dimensions of the spot where the cup or mug sits under the spout where the coffee comes out. Will the machine accommodate your favorite cup, or a travel mug? 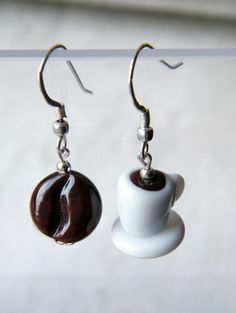 You may need to brew into a smaller cup and pour the coffee into the larger one. Two cups might combine to fill your travel mug, if the machine does not allow you to brew 10 or 12 ounces at a time. Who will be using this single serving coffee maker? Be sure to choose a machine that accommodates the tastes and cup size preferences of those who will be using it, and be prepared to do some compromising if necessary. A larger machine with a “hot and ready” water reservoir may be more appropriate in a household with 2 or more adults who drink a lot of coffee during the day. 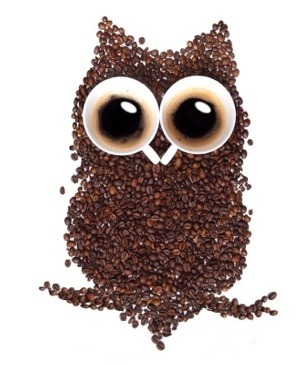 Do you stumble around half awake until you have your first cup of coffee? 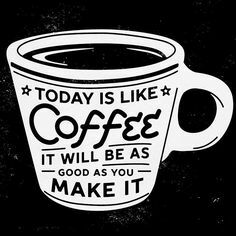 If so, you probably want a one cup coffee maker that’s easy to set up and clean up, like those that use pre-packaged coffee packs. You’ll want to look carefully at convenience factors when reviewing personal brewers. If you enjoy the coffee making process and consider yourself something of a home barista, a more hands-on brewer may be a better choice, as taste may trump convenience for you. Do you need to brew and run out the door? You’ll most likely want a machine that emphasizes easy cleanup. Those that use pre-packaged coffee packs often just need a quick rinse of the brew basket before heading out. Some drip-style personal brewers are also quite easy – just dump the filter and grounds and give everything a quick rinse. 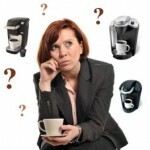 Some single serve coffee makers have several parts that need to be cleaned after brewing. The fewer parts the better, if you have to be out of the house early every day. For all machines, be sure to notice whether or not parts that come into contact with coffee and grounds can be washed in the dishwasher. While a quick rinse might suffice on weekday mornings, some parts may need a more thorough washing on a regular basis. Be aware that some personal brewers will need descaling every few months to remove mineral deposits, as well as other ongoing maintenance to keep the machine functioning well. Does the coffee machine have an auto-shutoff feature? If your mornings are hectic, you may prefer a machine that shuts itself off after brewing. In addition, some have an auto-shutoff feature that kicks in if you aren’t there for the next step of the setup process (but can be easily turned back on when you do get back to the kitchen). Because of short brew times and the lack of heating plates to keep a cup of coffee warm, many don’t allow for pre-scheduling the start time (auto-brew). Some do have this feature, however, so if that’s important to you, check carefully for it before buying. How much will it cost to operate? Pre-packaged coffee packs are pricey and add up over time, ranging in the neighborhood of 40 cents to 90 cents per cup, depending on the flavor chosen and where you buy them (buying in bulk and setting up monthly pre-orders reduce the cost per cup, but may limit you to one flavor). Some people view this as excessively expensive, while others realize a cost savings because they’ll make fewer trips to the coffee shop. For budgeting purposes, add up how many cups of coffee you drink per day and multiply that by 30 to determine how many pre-packaged cups or pods you’d buy in a month. Ground coffee is typically less expensive, although some single cup coffee brewers require more ground coffee per cup than standard automatic drip brewers do. Look carefully at brewing instructions and owner recommendations in our single serve coffee maker reviews to determine how much ground coffee you might use per cup, then do the math to determine how much you’d need in a month. This will allow you to determine if ground coffee would save you a substantial amount of money over pre-packaged coffee packs. Where will you be using your single cup coffee maker? If you will be using your machine at home, in a dorm (but check on this), apartment, RV, etc., choose one that’s UL listed for Household Use Only. 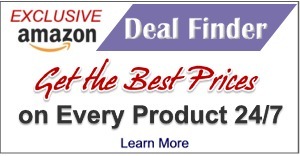 Choose a coffee maker that’s UL listed Commercial for the office. Safety, warranties and insurance may be affected if you use a machine in a location it’s not listed for. Click here to learn more about why UL listings matter. How much space do you have for your personal coffee maker? If space is a concern, look at more compact machines, as sizes vary considerably. Also, consider how tall the machine is with the lid open to add water. Will it fit under an upper cabinet, or will you need to pull it out from the wall in order to operate it? If it will be brewing while sitting under a cabinet, you may want to consider how much steam is emitted during the brewing process. Steamy machines should be pulled out from underneath cabinets so they don’t damage them. How much noise can you tolerate? Some single brew coffee makers are nearly silent during the brewing process, with slight gurgling sounds as the coffee releases into the cup. Others have noisy pumps that some people find unsettling. Pay careful attention to noise levels so that you choose a machine that doesn’t disrupt your household. So, what machine is best for you? Remember that adage “you can have it cheap, fast or done right – pick two?” That applies to single cup coffee makers, too. There are exceptions, but in general fast machines are usually those that use more expensive and convenient pre-packaged coffee packs. Drip-style machines use less expensive ground coffee but often have a longer brew time. Hands-on makers, like French press pots produce excellent coffee from less expensive ground coffee but take longer and are often messy. It’s up to you to decide which factors are must-haves for your perfect single serving coffee maker. 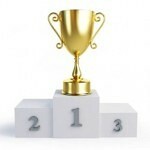 The Best Single Cup Coffee Maker Is . . .